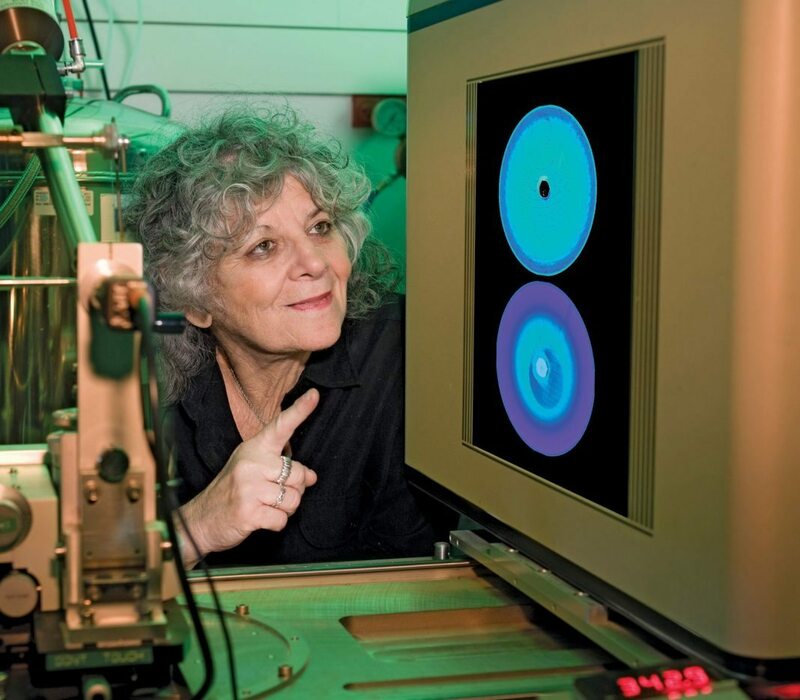 Ada E. Yonath, the Israeli crystallographer is best known for her pioneering work on the structure of the ribosome. In 2009, she received the Nobel Prize in Chemistry along with Venkatraman Ramakrishnan and Thomas A. Steitz for her studies on the structure and function of the ribosome, also setting a track record. She became the first woman from the Middle East to win a Nobel Prize in the sciences, and the first woman in 45 years to win the Nobel Prize for Chemistry. Yonath was born in Jerusalem and had her Bachelors and Masters in Biochemistry from the Hebrew University of Jerusalem. She obtained her Ph.D from the Weizmann Institute of Science for X-ray crystallographic studies on the structure of collagen. It was the opportunity she received to work with Nobel Laureate William N Lipscomb at the Harward University during her Post Doc years at MIT that inspired her to take her studies at larger structures. In 1970, she established what was the only protein crystallography laboratory in Israel. Then, from 1979 to 1984 she was a group leader with Heinz-Günter Wittmann at the Max Planck Institute for Molecular Genetics in Berlin. She was visiting professor at the University of Chicago in 1977-78. She headed a Max-Planck Institute Research Unit at DESY in Hamburg, Germany (1986–2004) in parallel to her research activities at the Weizmann Institute. She is the current director of the Helen and Milton A. Kimmelman Center for Biomolecular Structure and Assembly of the Weizmann Institute of Science. For enabling ribosomal crystallography Yonath introduced a novel technique, cryo bio-crystallography, which became routine in structural biology and allowed intricate projects otherwise considered formidable. She was also the recipient of the prestigious Albert Einstein World Award of Science in 2008 and the Wilhelm Exner Medal in 2010, for her pioneering contributions to protein biosynthesis in the field of ribosomal crystallography and her introduction of innovative techniques in cryo bio-crystallography.